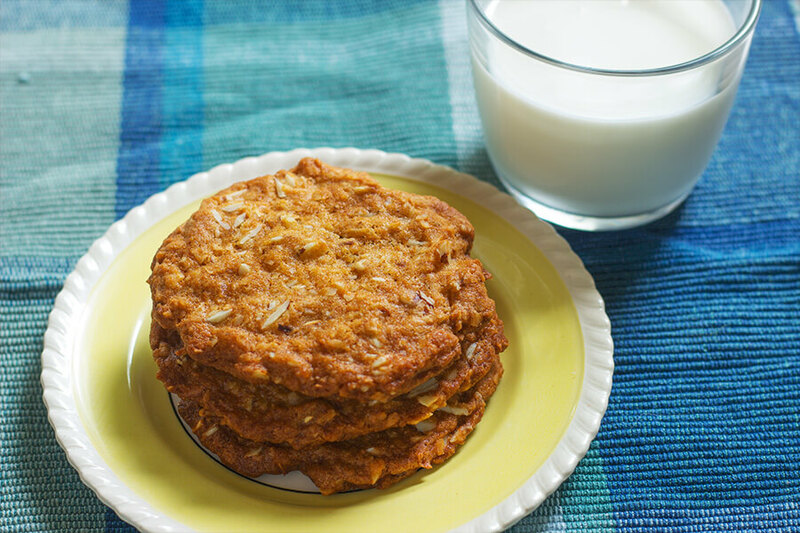 These coconut almond cookies have a delicate coconut and almond flavor that has tons of texture. 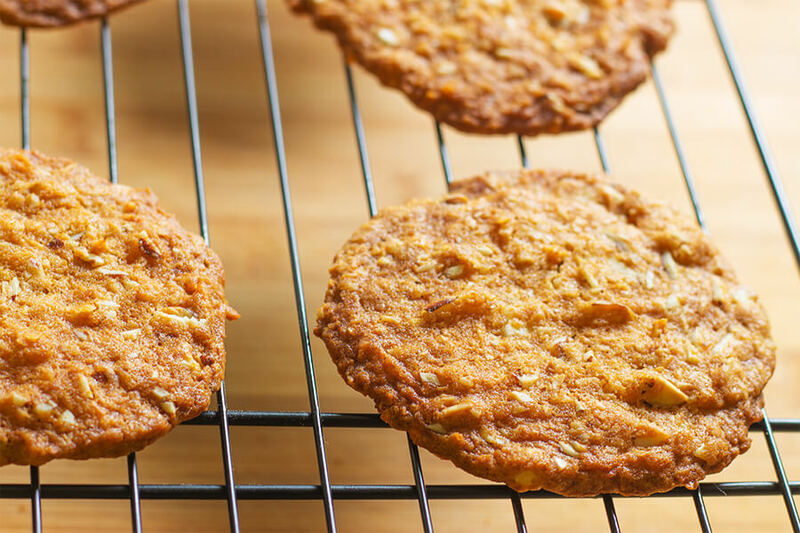 These cookies have everything that is right in the world in them-coconut flakes, toasted almonds with a hint of ginger and molasses. Hi, my name is Ann and I use these cookies as negotiation tools in my house. Wait a minute before I get HANGRY emails. Just hear me out. Here are the facts: I have three kids under 6. Enough said. I think that warrants some leeway. 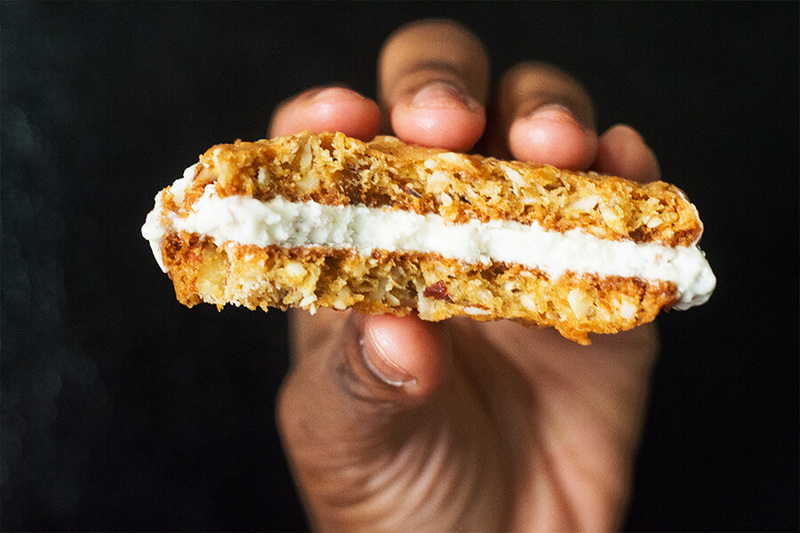 And these coconut almond cookies work like a charm every time. 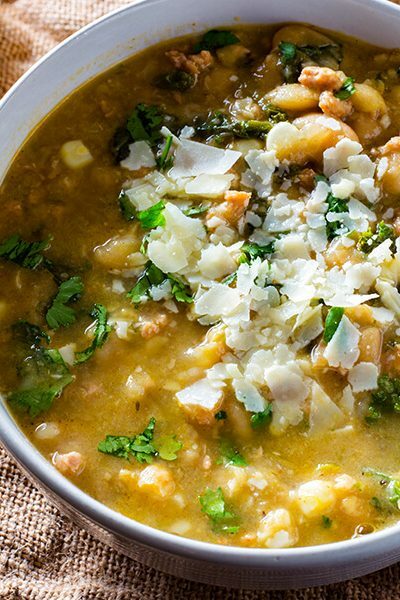 This recipe requires super simple ingredients- which is my favorite kind of recipe. Some coconut flakes, almonds, sugar , a lil flour and butter is all you need. Quick note: I found that if I refrigerated the batter then the cookies baked evenly and are easier to handle. So at this point I used a spoon to press the cookies out because I like my cookies thin. 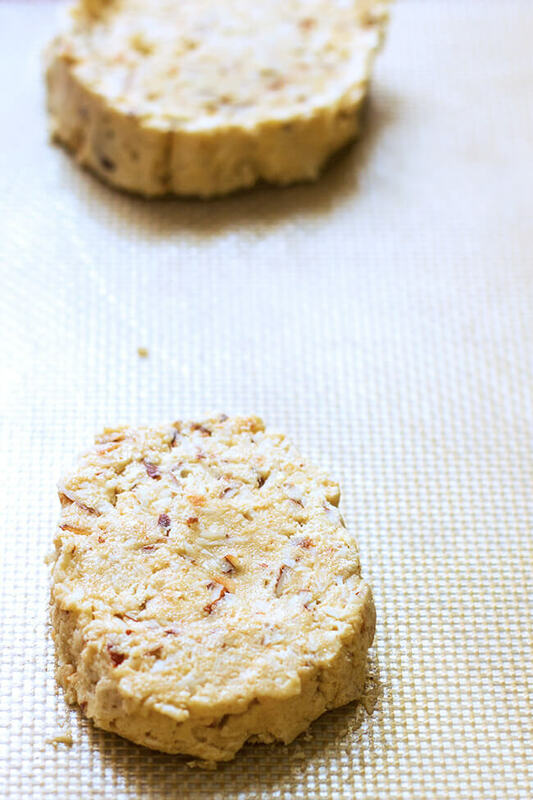 These coconut almond cookies do spread on their own when they are in the oven. Pure happiness on a cooling rack, which if I am being honest I usually see a lot of happiness on my cooling rack. And because I literally believe that are is more…. 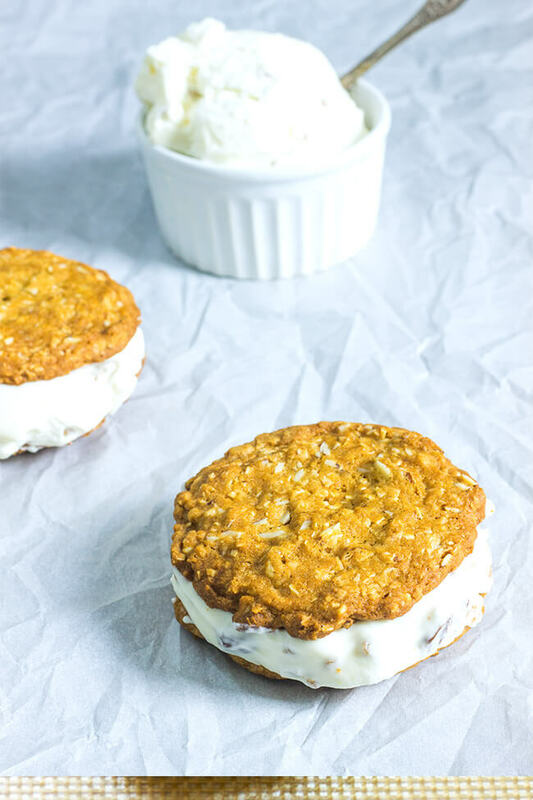 I made them into ice cream cookie sandwiches. 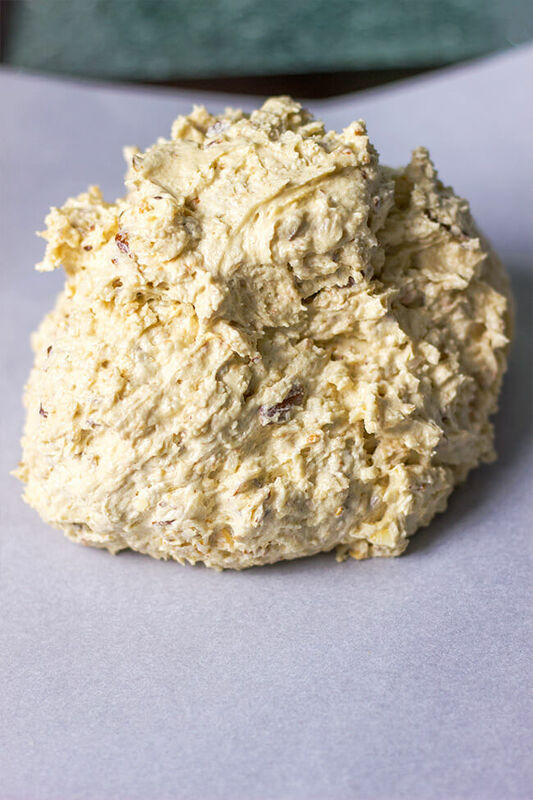 Remember the Rum and Raisin ice-cream…. IT.IS.BACK! I’ve made these over 3 times in the last 2 weeks. These are quickly becoming my favorite cookie of 2016! Line baking sheets with nonstick silicone baking mats or parchment paper and set aside. In the bowl of an electric mixer fitted with the paddle attachment, cream together butter and granulated sugar; add brown sugar and mix until well combined. Add egg and mix until fully incorporated. Add molasses. In a bowl, whisk together flour, baking soda, ground ginger and salt. Add half of the flour mixture to the butter mixture and mix to combine. Add remaining flour mixture and mix to combine. Add half of the coconut flakes and almonds; mix to combine. Add remaining almonds and coconut chips then mix to combine. On a piece of parchment paper transfer the batter. On a sheet of parchment or wax paper, form dough into log shape. Transfer the log to refrigerator; chill for 30 minutes. Remove from the refrigerator and unwrap the cookie log. Cut cookies into 1 inch cookies. Using the flat bottom of a floured drinking glass, flatten dough slightly. Transfer baking sheet to oven and bake until golden brown, 12 to 16 minutes. Remove from oven and transfer to a wire rack to cool. Let cool at least 15 minutes before serving. These cookies look so tropical! 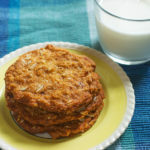 My mom absolutely adores coconut cookies, she would love these! I think I’m going to make these for her on Mother’s Day! So delish! Can’t wait to try these! There’s no shame in using cookies as bribery! 🙂 These look amazing! I can’t wait to make them. 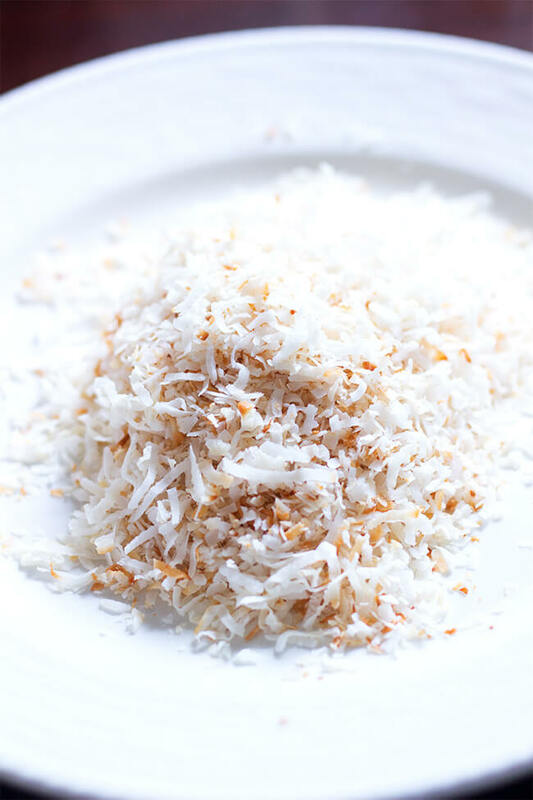 I’m so into coconut atm – they sound delicious! Wow, such a delcious cookie recipe, I can’t wait to try it! 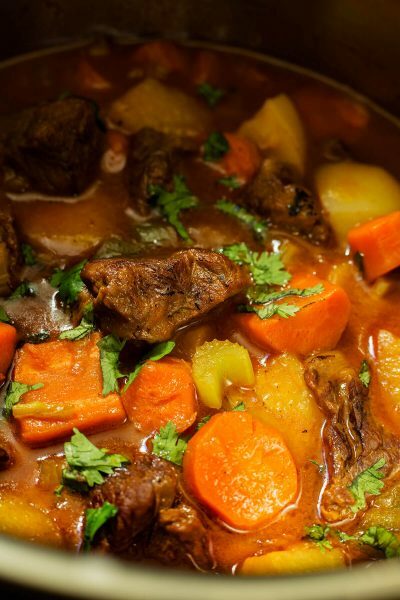 I love cooking with coconut and almonds so I know I’ll like these… thank you for sharing your recipe! These look so yummy and I love that you made them into ice team sandwiches! 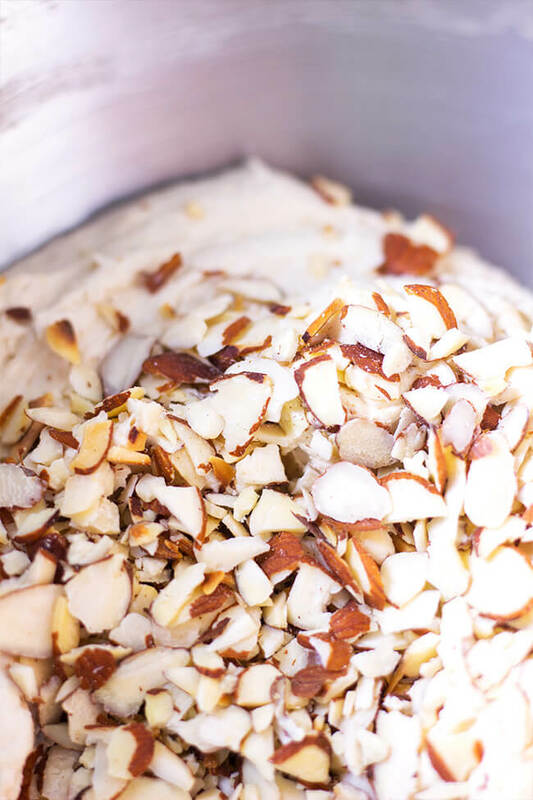 I love the combination of coconut and almonds. These cookies look delicious! OMGosh! These look amazing and the perfect amount of gooey yumminess. Thank you for sharing! Oh my goodness, those really would make the best ice cream sandwiches ever!! Oh wow, they look fantastic and so easy to make.